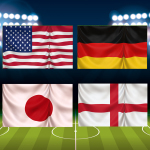 Women’s World Football Show is ushering in the next generation of women’s footballers and who better to spotlight than one of the rising stars in the game today, USA’s Lindsey Horan! 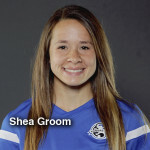 As a football prodigy growing up in Colorado, Lindsey was playing forward with the Colorado Rush as a a mere tween. By the time she graduated high school, Lindsey was already making a name for herself with Paris Saint-Germain FC in the French league. We talk to this powerful goal-scorer about some of her more “unconventional” life decisions and find out what it really takes to follow your own path when everyone else keeps pointing you in another direction. An impact player in the USWNT junior squads since she was a kid, Lindsey’s fans have been chomping at the bit for her to make her grand arrival up to the senior squad and she’s doing it in grand fashion. Coming off spectacular showings in the USA Victory Tour, the young star is undaunted by the attention and laser-focused on what she needs to do to get to the next level as she eyes the 2016 Summer Olympics in Rio. NWSL fans cannot wait to catch this talented footballer play for Portland Thorns FC in 2016, where she will meet up with her former PSG teammate Tobin Heath and new USWNT teammate Emily Sonnett. It’s a new-look Thorns team and Lindsey plans on bringing a big presence and an NWSL championship back to the Rose City. 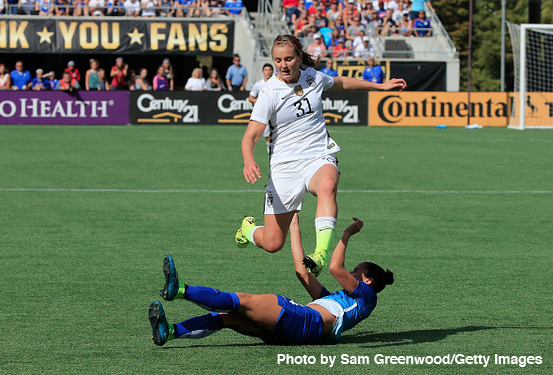 So, sit back, relax and have fun getting to know Lindsey Horan! The USWNT broke January camp with a victory over Ireland at Qualcomm Stadium in San Diego. Patty, AJ, and The Cowgirl were on hand to get a few interviews and soundbites. We hear from FIFA Female Coach of the Year Jill Ellis as she talks about her young team, the road to the Olympics, and Ireland defender Megan Campbell’s wicked throw-in. 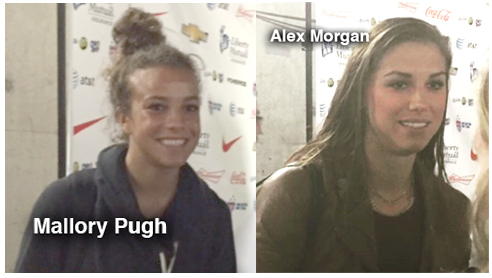 Alex Morgan also weighs in on the team’s new kids, the Road to Rio (and also on Campbell’s throw-in). Also we hear from the newest and youngest player on the team, 17-year old Mallory Pugh, who scored in her very first cap (nice thing to do before having to go back to high school on Monday). What has she learned since coming up to the senior squad and which veteran has given her the ultimate advice? She tells us that and more! Adam visits with Nigeria sports journalist Janine Anthony. In this in-depth look at women’s football in the African contentment, Janine updates us on the triumphs and challenges of the Nigerian national team and let’s us in on why the club system is so important to the growth of the Super Falcons. Also, Janine gives her thoughts on the other great African teams – Cameroon, South Africa, Guyana, and Ivory Coast. 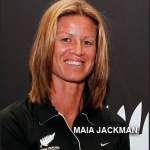 For more insight on women’s football in Africa, check out Janine’s website LadiesMarch.com. The 2016 NWSL College Draft took place on January 15, 2016. Patty and Adam go through the top 10 picks and remind us why this draft is so important to the future of the league. Also, we introduce a new addition to the WWFShow team, Florida attorney and sports writer Michelle Stile. 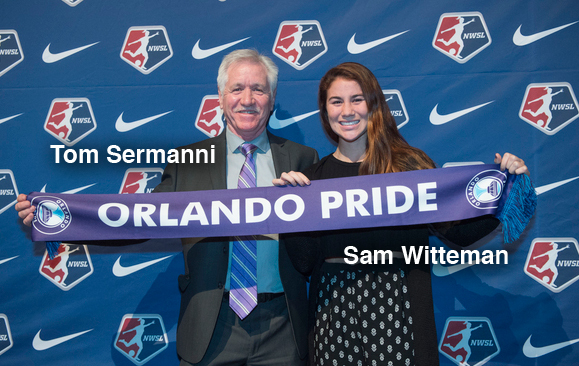 Our new roving reporter chats with Orlando’s #1 Draft Pick Samantha Wittemann. The Cal Berkley star tells us her thoughts on being picked in the first round and also her feelings about playing for the Pride and alongside another Golden Bear, Alex Morgan. Also, we get up close and personal with Pride head coach Tom Sermanni, as he chats about his new team and what went into his decisions on selecting his draft picks. Updates on FAWSL, England, W-League playoffs and more! !